This project and this exhibit are happening thanks to these sponsors and the continued support of local volunteers. 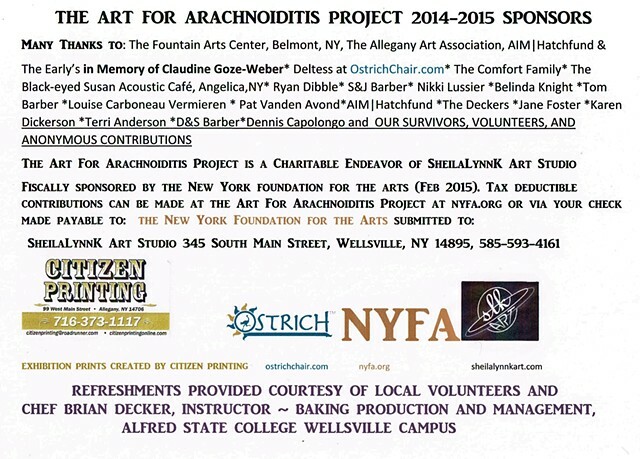 To minimize the cost to the Arachnoiditis Survivors, entries were submitted digitally and printed locally. All prints for the exhibit were created at Citizen Printing in Allegany, NY. Survivors are following along with the launch via the Exhibit Album.